Executive Profiles | Defenshield, Inc.
Collins started Defenshield in January 2002, and in less than 4 years grew it into a multi-million dollar, multi-national government contractor saving the lives of US security forces around the globe. Since then Defenshield has secured Hundreds of US Federal contracts Defenshield’s product line of over 100 war-fighter tools is available on the GSA Schedule. Defenshield continues to grow its product line with the new STEGO modular armor as well as its customer base with expansions into the nuclear energy security market as well as multimillion dollar sales to foreign customers. 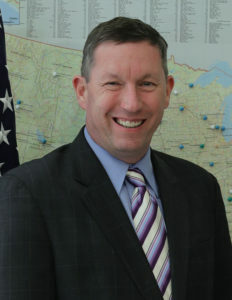 Collins spent 11 years in the US Air Force, including a tour of duty in Turkey during the first Persian Gulf War, and was stationed at Upper Heyford, England and Mountain Home, Idaho. 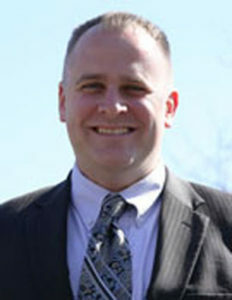 An Engineer by training, Collins received his BS in Electrical Engineering from the State University of New York Institute of Technology and is completed a significant amount of coursework towards his MBA at the Whitman School of Management at Syracuse University before the duties of Defenshield took a priority. Prior to founding Defenshield, Mr. White was a Senior Manufacturing and Test Engineer at Applied Biosystems in Foster City, California and Carrier Corporation, a division of United Technologies Corporation, in Syracuse, NY. He also spent 5 years as Director of Operations for a Welding and Fabrication company in Central New York. Collins is a long-time active member of the NDIA, NGAUS, VFW, American Legion, IEEE, ASME, and SAE. When not running the business, Collins fine tunes his marksmanship and reloading skills, from the .17 HMR to the .50 BMG. He is an enthusiastic hunter of clay pigeons, enjoys sailing, skiing and snowboarding, and is an avid racer of cars and motorcycles. Jordan Settle joined Defenshield in January 2011 as the Director of Operations, a role in which he was responsible for overseeing the engineering and production sections of the company. Now serving as its Executive Vice President his duties include managing new product development, manufacturing processes, intellectual property (IP) protection, business to business relationships, and liaising with end users. He supervises the engineering, manufacturing, and inventory management sections for the company to ensure all projects and processes are within company guidelines and annual goals. Assesses threat vulnerabilities at installations for customers within the Department of Defense, Department of State, federal and non-federal law enforcement, and foreign governments. He provides necessary procedures and equipment plans to mitigate risk accordingly. He also serves as a member of the company’s executive staff responsible for all short-term, long-term, and strategic level initiatives as well as financial goals to ensure the company’s continued success within designated markets. Prior to joining Defenshield, Jordan was a senior material planner at Veeder Root (a Danaher Company) and Deputy Director of Operations at JOTS. Jordan’s active duty military service in the United States Army includes serving as a Platoon Leader, Executive Officer, Provost Marshal, and Force Protection Officer. His deployments include two combat deployments to Afghanistan and a combat support deployment to the Republic of Korea. Jordan received his bachelor’s degree in Political Science/Pre-Law from California University of Pennsylvania. Additional education and certificates include; the United States Department of Defense Antiterrorism Officer Basic and Advanced courses, the United States Army Special Reaction Team (SRT) course, and numerous DoD safety officer, inventory management, and military police courses. In Jordan’s free time he enjoys target shooting, hunting, playing ice hockey, community service work and most importantly spending time with his wife Tiffany and their two daughters.